Wydon farm is an ideal base for touring Hadrian's Wall and the English border country. We are within walking distance of Haltwhistle, the 'centre of Britain', with local shops and historic buildings. 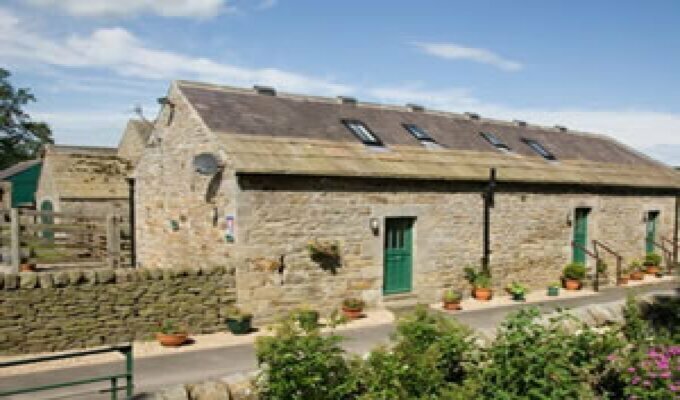 Enjoy bed and breakfast accommodation in a luxurious barn conversion accommodating three ground floor rooms, all en-suite, one with 4-poster bed and whirlpool bath, at Wydon Farm, a 366 acre working farm, on the National Trust Bellister estate. Wydon farm sits on the banks of the river South Tyne, one of the best salmon rivers in England. By road: Travel west along the A69 from Newcastle to Haltwhistle, bypass Haltwhistle and turn left on to the A689 to Alston, immediately turn right over cattle grid - Wydon Farm is approx 1/2 mile up lane.